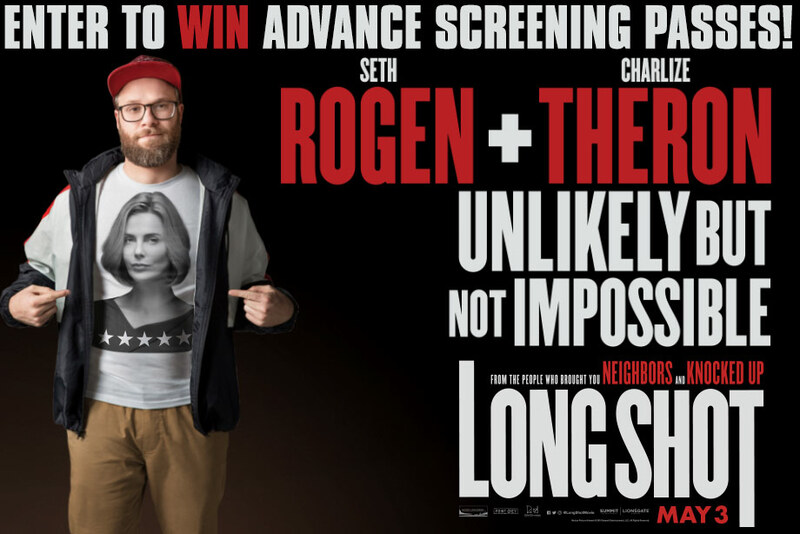 'Long Shot' - Win an Advance Screening Pass for Two! - Enter on Exclaim! Enter to win a pass good for two to see an advance screening of Long Shot in Toronto, Vancouver, Calgary, Edmonton, Winnipeg, Ottawa or Halifax. For your chance to see the film ahead of its May 3 release date (the screenings are on the 1st), check out this article and fill out the form below, though you'll probably want to watch the trailer on your way down for fun.